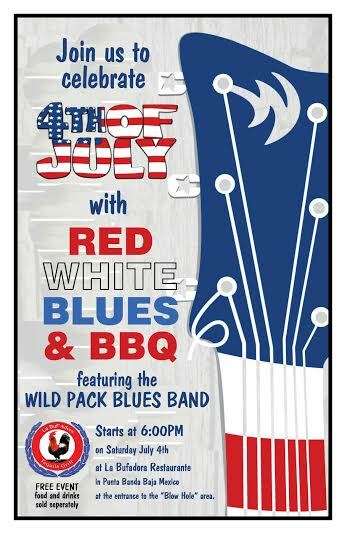 The Wild Pack Band: Red, White, & Blues BBQ! Red, White, & Blues BBQ! To everyone that came out to La BufAdora Tequila Grill last night to celebrate the 4th of July, or to just have a great time - THANK YOU/ MUCHAS GRACIAS! The members of WILD PACK band truly enjoy ourselves and had a fabulous time. We look forward to performing in Punta Banda more often, this is a really fun community. Thank you Patty Rodriguez for the video.